Le binomial pairs, così frequenti nella lingua inglese, sono espressioni formate da due parole e unite da una congiunzione. Solitamente, le binomial pairs sono fisse come “more or less” (più o meno), “back and forth” (avanti e indietro) e non possono essere modificate a piacimento, né si può alterare l’ordine dei termini (‘less or more’ suonerebbe senza senso). Le binomial pairs possono essere costituite da due sostantivi, aggettivi o verbi e uniti dalla congiunzione ‘AND o ‘OR‘. Altre binomial pairs sono basate sull’allitterazione, cioè tra due parole che hanno un suono simile come “LIVE AND LEARN”. Altre ancora, ma sono eccezioni, sono unite da altre particelle come ‘by‘ e ‘to‘. 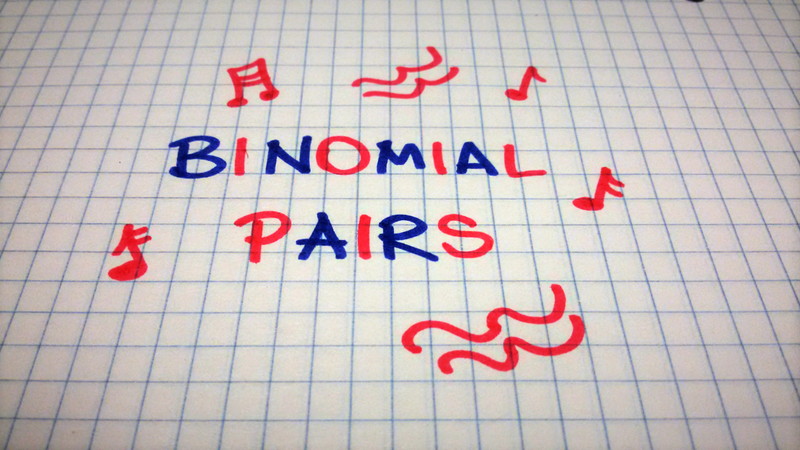 Binomial pairs with ‘and’ conjunction. Meaning: Clean and well organised, in perfect order. Example: Susan’s office is always neat and tidy: she pays a special attention to her desk. 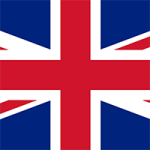 Meaning: A huge number of places, spread across a large geographical area, often used with “from”. Example: Alistair and Jane looked far and wide for the missing dog. Meaning: Bothered or exhausted about something/someone. Example: Ann was sick and tired of her boss, so she decided to quit her job. Example: The Japanese boy who got lost in the forest, was finally found safe and sound after three days. Example: Ben’s speech has been short and sweet: he told exactly what the employees needed to know. Example: The ups and downs in a relationship are routine, you just have to cope with them. Meaning:To be patient until the outcome of a situation becomes clearer. Example: We will have to wait and see whether or not these measures prove to be effective in practice. Example: We need to assess the pros and cons, before signing the contract. Example: When a contract doesn’t have a date or isn’t signed properly, it is null and void. Example: Top managers always wine and dine the agency’s best clients. Meaning:Very thin, with a sick appearance. Example: When we went to Cuba, we saw a lot of hungry dogs that were nothing but skin and bones. Example: We missed the train and had to buy another ticket, but by and large ,the trip to Scotland was unforgettable. Example: I can’t sit doing nothing when I’m on holiday. I love to be out and about most of the time. Meaning: To be in a situation where you can either swim and be successful or sink and fail. Meaning: Something that will happen in the future, even if you are uncertain about the date. Example: Sooner later I’ll sign up to the gym and start working out regularly. Example: I’m not going to pay more than 1000 € for this bike. Take it or leave it! Meaning: Something to do in that moment or never again. Example: Julie was at that stage in the life when she feels that her last chance of marrying has come and that her fate must be decided now or never. Meaning: Something that can’t be separated from a specific condition, experience, topic. Example: Stress and fatigue are part and parcel of working on shifts. Meaning: In perfect condition, healthy. Example: Jim had a car-crash yesterday, but he’s fortunately safe and sound. Meaning: Learning about life by experiences and unpleasant mistakes. Example: Live and learn is my motto. You can learn a lot from your mistakes. Example: At first, my flatmates used to quarrel a lot, but now they decided to live and let live. Example: In every community rules and regulations are necessary to settle disagreements. Example: I can’t stand the hustle and bustle of a big city. Example: When you calculate the value of a used car, you have to consider the wear and tear. Example: He was driving willy-nilly all over the road and nearly caused an accident. Se questo articolo ti è piaciuto, lasciaci un commento o condividilo sui social. Grazie!